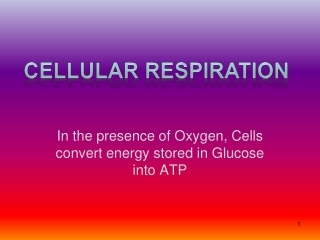 Cellular Respiration -. 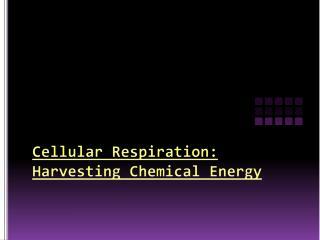 how cells harvest chemical energy – cellular respiration. 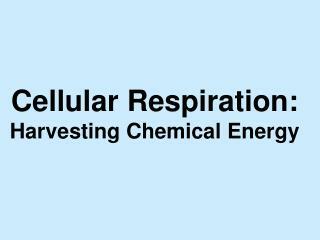 cellular respiration. 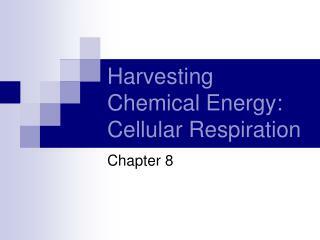 c 6 h 12 o 6 + 60 2  6co 2 + 6h 2 0 a catabolic pathway oxygen is consumed as a reactant along with organic compounds. 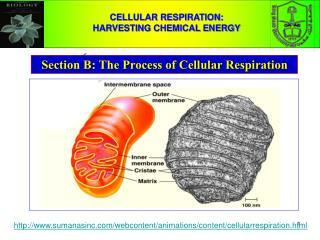 Cell Respiration -. 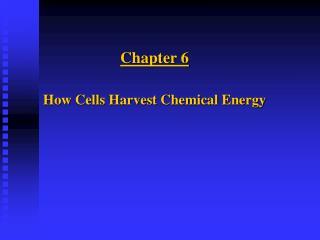 harvesting chemical energy. 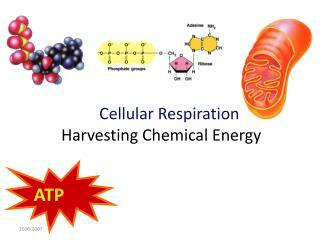 atp--main fuel for cells cellular respiration--process cells use to make atp by breaking down organic compounds. glucose. krebs cycle. electron transport. glycolysis. alcohol or lactic acid. 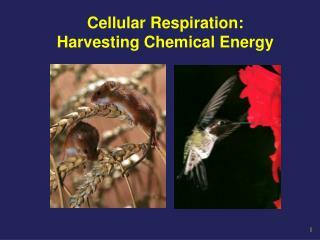 Cellular Respiration: Harvesting Chemical Energy -. light energy. ecosystem. photosynthesis in chloroplasts. organic molecules. co 2 + h 2 o. 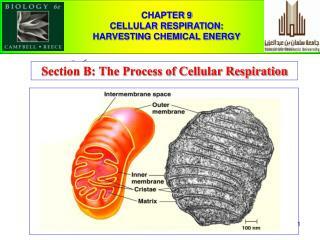 + o 2. cellular respiration in mitochondria. 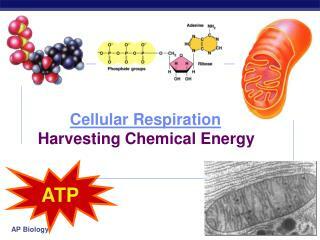 atp. 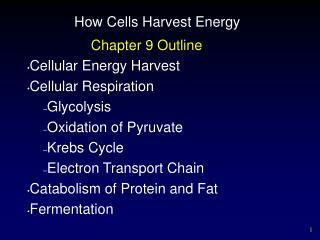 powers most cellular work. heat energy. 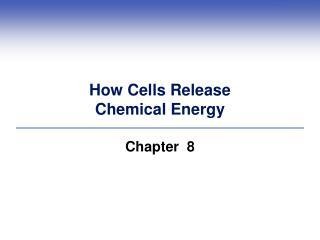 HOW CELLS HARVEST CHEMICAL ENERGY -. 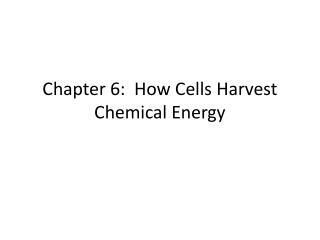 how cells harvest chemical energy. 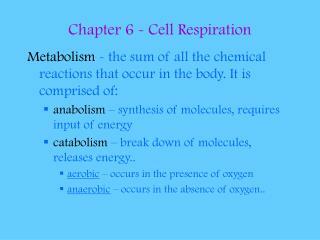 two forms of respiration respiration = breathing breathing is ?? 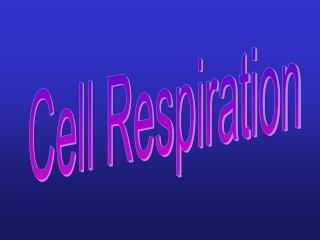 cellular respiration definition??. 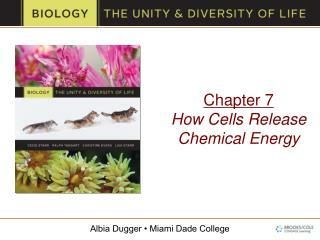 how cells harvest chemical energy. 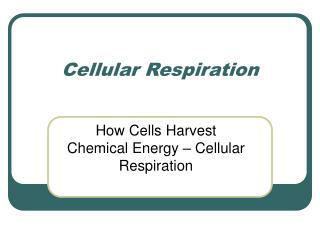 cellular respiration formula?? 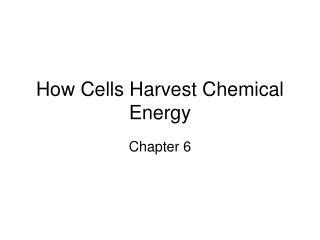 Chapter 6 How Cells Harvest Chemical Energy -. overview: cellular respiration reactions involved in cellular respiration glycolysis	krebs cycle electron transport. 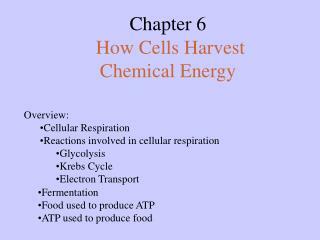 fermentation food used to produce atp atp used to produce food. 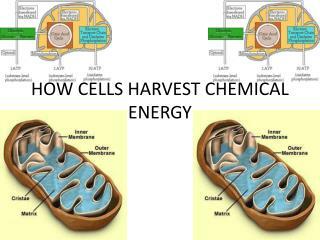 How Cells Harvest Chemical Energy -. chapter 6. overview. 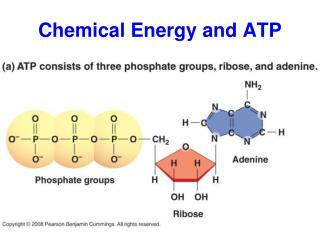 photosynthesis aerobic respiration anaerobic respiration alternate sources of energy. components of a reaction. reactants intermediates products. a. b. c. endergonic vs.